An arrhythmia is an abnormal rhythm of the heart. There are many types of arrhythmias. Some arrhythmias cause the heart to beat too slow, while others cause it to beat too fast. An arrhythmia can interfere with the functioning of the heart in some cases. It may cause the heart to not be able to pump enough blood for your body’s needs. Some arrhythmias are harmless and others are life-threatening. It depends upon what type of arrhythmia that you have. According to the National Osteoporosis Foundation, Osteoporosis affects 44 million Americans each year. Of that number, 68 percent of them are women. Osteoporosis causes brittle bones, a hunched back, and bone loss. The behaviors that women develop when they are children and throughout their teens plays a significant role in the development and progression of the disease. There are several risk factors for this disease. According to the National Institute of Mental Health, 12 million women are diagnosed with depression each year, as opposed to the only 6 million men. Depression can be triggered by hormonal changes or lack of connection with other in their lives. Some women suffer from mild depression, some suffer from clinical depression, and some suffer from bipolar depression. There are several other risk factors for any of these types of depression. 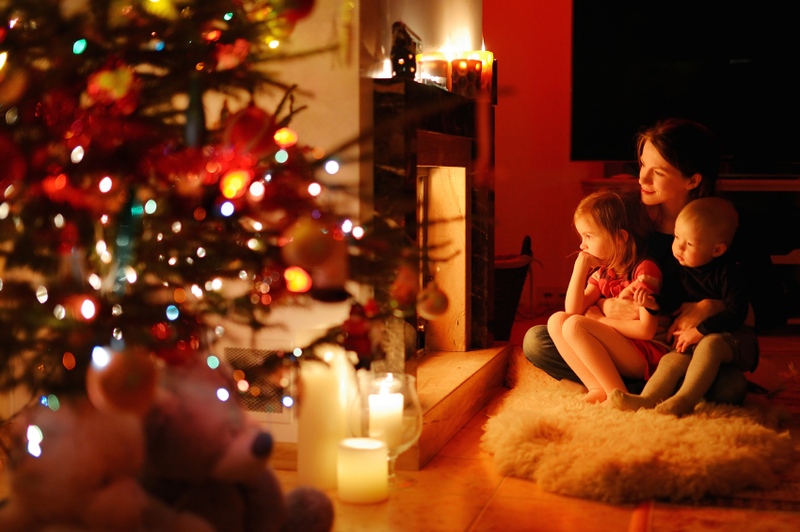 This holiday season, you may be planning to travel and to visit places where you can relax, or you may want to stay at home and spend time with your family and friends. The most significant aspect of holidays is the food. It is what makes a holiday fun and exciting, along with creating great memories with the people you love. However, this is also the season for food allergies. 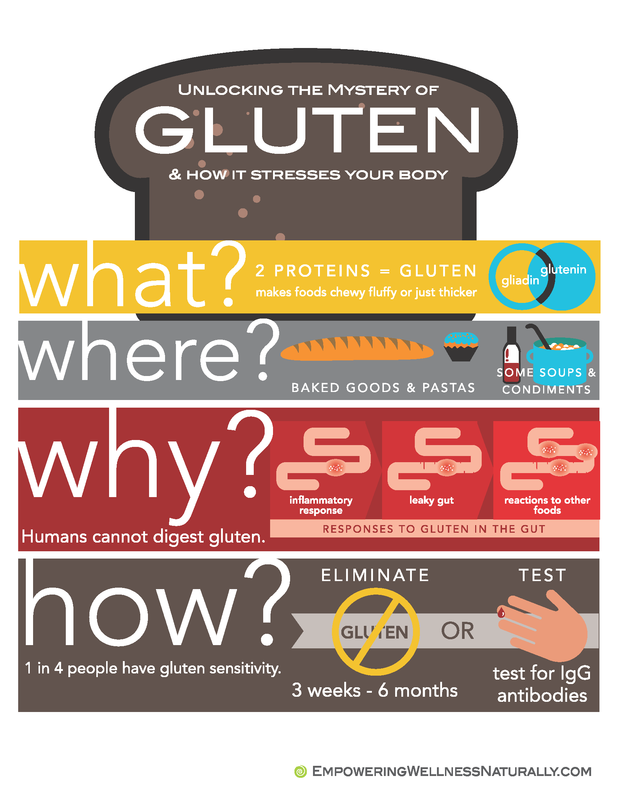 Because of this, preparing for the holidays with food allergies is a must. 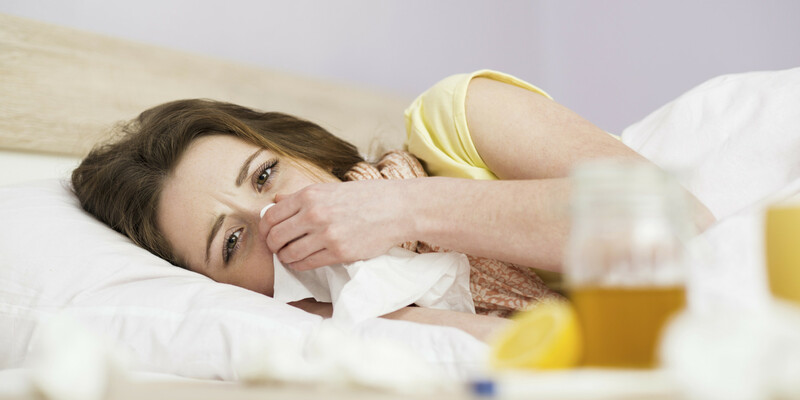 You should keep in mind that it is not only you who can suffer from allergies but also your visitors or guests. If you are the guest, there are things you should consider protecting yourself. Today, we will go over several ways to avoid food allergies this holiday season. Let’s get started! Plan your route and itinerary ahead of time. There should be places that will cater to your diet and any allergies you might have. You can ask these restaurants what specific ingredients they use to keep you safe. If you happen to be staying in a hotel, it’s best to check again with the hotel staff for food that might be an issue. However, it is best if you bring some foods which you know are safe for you to eat. It’s easy to pack up items from home and bring them along with you, unless you are traveling on a plane. Even so, you can ask the airlines for a list of ingredients so you are safe. The main concern here is that is if someone is unsure what is in the ingredients of a specific food, and if you have any doubt that it may be something you may be allergic to, then you should avoid this food. You may also have a choice to spend holidays at home. Before you invite your friends, ask them or try to know what kind of food they prefer. Also, ask if anyone who is coming might have any food allergies in order to help cater towards their needs. If you have a friend or family member who does have a food allergy, then you should have a variety of food ready and always read the labels to see the instructions and indications about allergic reactions. Of course, you cannot just demand for something. As courtesy, you should make your friend feel you appreciate whatever he or she has prepared for. The best way is to offer for help. Go to your friend’s home early and suggest foods to prepare. You can tell your friend ahead of time about your allergy. If you visit another person whom you are not that very close, you can bring some food or snacks for you or for your kids in case you run out of choices. If you receive an invitation, this is your chance to politely ask what foods to expect and mention you have some allergies. There is nothing wrong with being straightforward than being too late. Food allergies are a major concern for a lot of people these days, especially during the holiday season. To enjoy the season and all it has to offer then make sure you eat what’s safe for you, and if you have a friend or relative with a food allergy make sure to make them food that is safe for them and always remember to read the label. 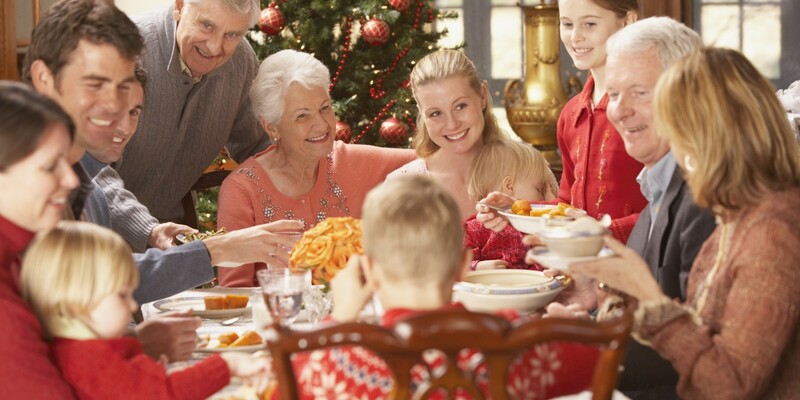 Nevertheless, there are still more ways to navigate the holidays with food allergies. The above are some of the symptoms of glutamic intolerance. 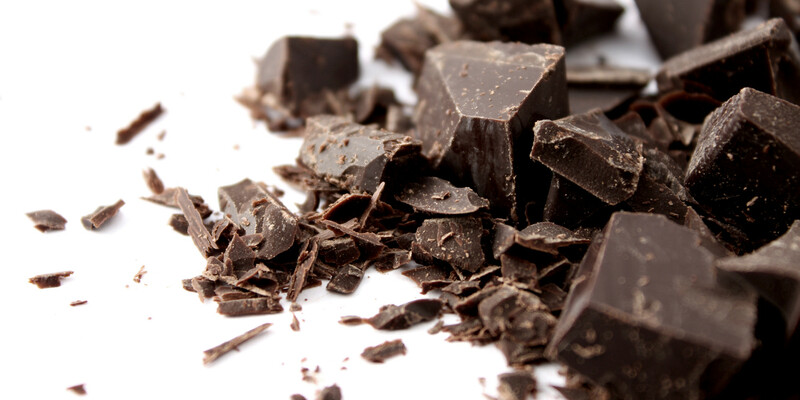 Chocolate is a food craved by many, but someone cannot eat this sweet treat do to a food allergy. Food allergies occur anytime the body’s immune system reacts to a protein that it sees as harmful, when it is not. Those reactions can range from mild to severe. The only way to know the severity of the food allergies is with allergy testing or by eating the food and discovering bad reactions that follow afterwards. To help you identify if whether you have a food allergy to chocolate or not here are some of the symptoms that can occur. Most allergic reactions to food among children are to soya, milk, peanuts, eggs, wheat, and nuts from trees. Most children seize being allergic to these foods early on in their childhood. A majority of adults typically react to fish, nuts, shellfish, citrus fruit, wheat, and peanuts. Fish allergy can be responsible for causing severe reactions such as anaphylaxis. Children are less likely to have an allergic reaction to fish and shellfish than adults. This could be attributed to the likeliness of adults having eaten fish more often than children. If you get allergic to one type of fish such as haddock, then you are likely to react to other types of fish including cod, whiting, mackerel, and hake. The reason for this is that the allergens contained in these fish are quite similar. Unfortunately, cooking does not terminate fish allergens. In fact, if you have a fish allergy, you might be allergic to cooked fish but not raw fish. Egg allergy is more common in childhood just like most food allergies. By the age of three, almost half the children who have it grow out of it. 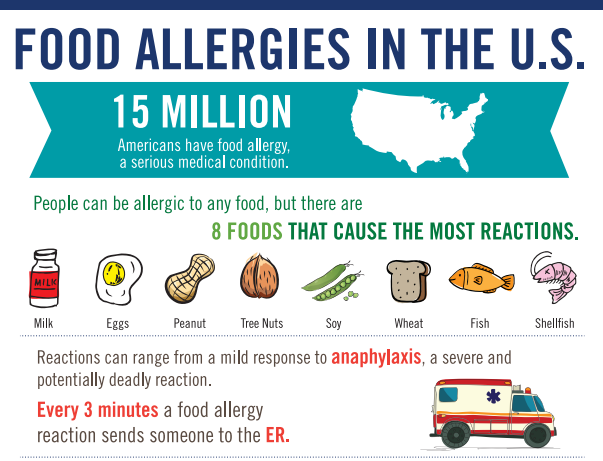 Egg allergy can cause anaphylaxis in a few cases. There are three proteins in the egg white that would make you get an egg allergy namely: ovalbumin, conalbumin, and ovomucoid. Cooking can help you destroy some of these allergens, but not others. Therefore, you might find yourself reacting to both cooked and raw eggs. Occasionally, you might find yourself reacting to eggs because you are allergic to turkey, quail or chicken meat, or even bird feathers. This is typically called bird-egg syndrome. Milk allergy can cause anaphylaxis in very few cases. You can be allergic to either casein or whey, or even both of these allergens. Heat treatment like pasteurization changes whey so if you are sensitive to whey, you might not react to pasteurized milk. However, heat treatment doesn’t affect casein, so if you are allergic to casein, you are more likely to react to all types of milk and its products. Some highly hydrolyzed milk formulas might be suitable for babies with cow’s milk allergy. The food allergies named above are just a few of the many affecting humans. For many, the closest they have ever come to understanding hypertension is the medical shows they watch. Unfortunately, some of these programs have inaccurate information and therefore cannot be trusted. Should you rely on them, you will be lost and find an entirely wrong information of high blood pressure. 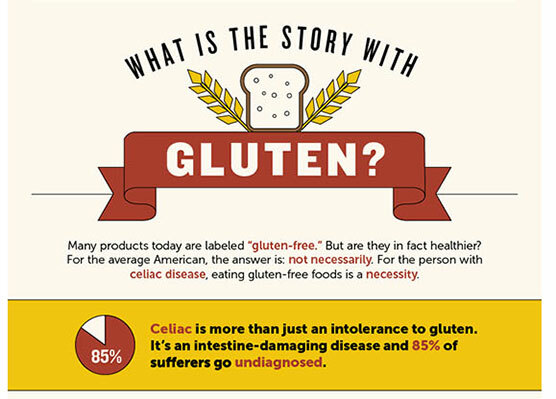 This will not give you accurate information about the disease and what it can mean to you. Understanding blood pressure is supposed to be a priority for all adults. Currently, the condition is endemic with one in three adults suffering from it. The following is a quick guide the disease and the treatments available. Essentially, blood pressure is the force with which blood circulates through your veins and blood vessels. The reading of your blood pressure is usually taken by an instrument known as a manometer, an instrument which looks like a strip of rubber attached to a thermometer. Alternatively, a sphygmomanometer is used for measuring the pressure. As your heart beats, your blood pressure records a variation in pressure i.e. maximum, scientifically known as systolic, and minimum, known as diastolic pressure. What is classified as high blood pressure and low blood pressure? High blood pressure, also known as hypertension is the instance where the blood pressure shoots from a regular rate of 90-119 systolic pressure and a diastolic pressure of 60-79 up to 120-139 and 80-89 in the case of prehypertension. As the condition advances, the blood pressure records 140-159 and 90-95 for systolic and diastolic pressure respectively. Low blood pressure is the instance where it is below 90 systolic over 60 diastolic. Currently, there exist more than two hundred separate brands of medication which aim to solve the problem of high blood pressure. There has not been a single drug manufactured that can permanently cure the condition, and so doctors often prescribe a combination. After that comes a period of adjusting doses to achieve optimal effects on blood pressure while at the same time alleviating the side effects of the drugs used for treatment. The primary objective of the drug is to control the condition and not necessarily to cure it. Once you get the conditions and start using the medication, you are on drugs for life. What’s the alternative treatment and control of high blood pressure? Many people for lifestyle change in a bid to control and treat this condition. It is possible to reduce significantly high blood pressure. What would make this possible is diet adjustment, taking up daily exercise as well as managing stress. However, just as in medication, once you take up a lifestyle of healthy living, there is no going back. 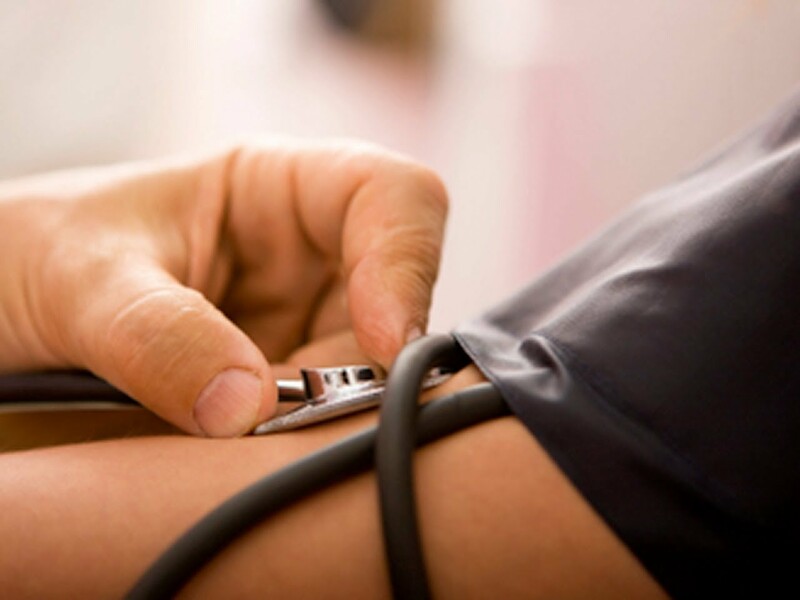 High blood pressure is a condition that could catch up with just about anyone. Knowing about it will greatly help you to know how to take care of it.